Did you know the battery in your Pedego electric bike is made of the same material that’s in your laptop, cell phone and electric car? Lithium battery technology has come a long way in the past decade and it’s now what powers many of our electronics. What you might not know is there are easy things you can do to maintain lithium batteries and prolong their lifespan. In most cases, you can expect a battery to last between 3 and 5 years if it is well maintained. (A lithium battery will slowly lose its capacity over time, even if it’s not used.) 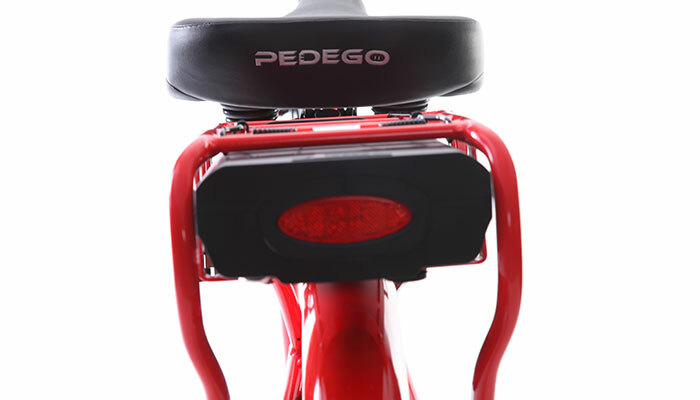 Pedego offers a full 2-year replacement warranty on all its batteries, which is testimony to how well we believe our lithium batteries are made. But obviously it’s preferable to have your lithium battery last a full five years. In this “How To Take Care Of Your Lithium Battery” article, we’re going to look at easy things you can do to help improve the performance and lifespan of the lithium battery that powers your electric bike (and all other lithium batteries for that matter). It’s important you avoid storing a lithium battery in the direct sunlight or in very hot places, such as the interior of a car during hot whether, for long periods. This rule goes for all lithium batteries, whether they’re in your computer or your electric bike. In short, heat hurts batteries. Likewise, extreme cold isn’t great for your lithium battery but it’s not as problematic as extreme heat. The lithium battery on your electric bike is designed to go out in the cold and any Pedego electric bike owner in Canada will tell you they work very well in winter weather. However, to prolong the lifespan of your lithium battery, it’s best not to keep your electric bike battery out in the cold for long periods of time. For example, taking your electric bike into town and locking it outside in cold weather for a few hours and then riding home again is fine. But rather than leave it outside overnight, it’s a good idea to store your bike inside (in a garage or basement for example) or at the very least remove the battery and store that inside. The ideal temperature at which to store your lithium battery is higher than 10°C and lower than 20°C. It’s also important to remember to ensure your battery is above freezing before charging, otherwise you could harm the cells. Storing a fully depleted lithium battery could be bad because, as mentioned above, a lithium battery will slowly discharge over time even when you’re not using it. If a voltage drops too low, cell damage could occur. 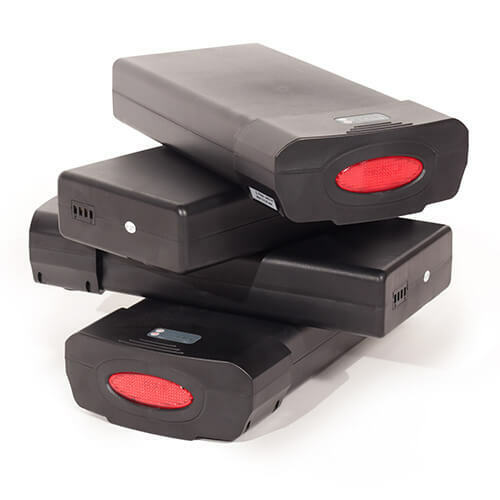 Likewise storing a fully-charged lithium battery, or storing it while the charger is connected to it and a power source, has a negative impact on the recoverable capacity; try to avoid leaving the battery on the charger overnight. If storing a lithium battery for a long period, ensure it has a charge between about 40% and 80% of a full charge. To best accomplish this, charge your lithium battery and then take your electric bike for a short ride to deplete a little bit of energy. Over the winter months, be sure to check your battery every month or so. 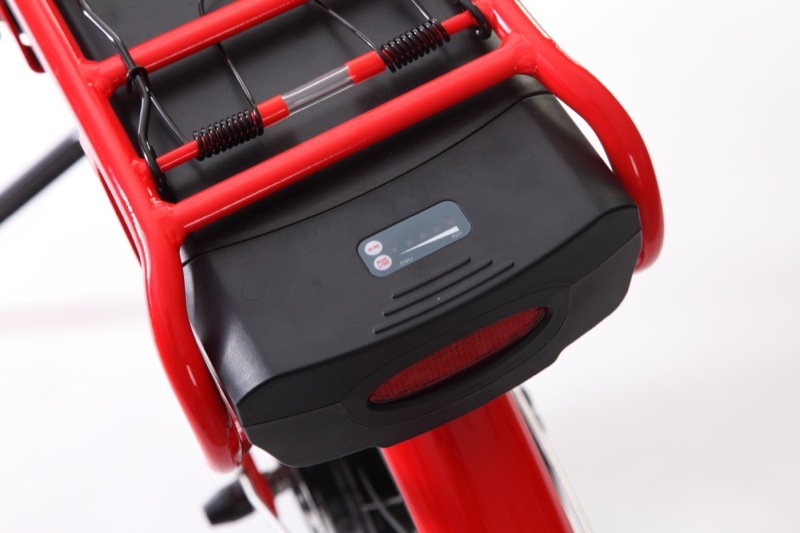 Most Pedego lithium batteries have indicator lights telling you how much of a charge it has left. If it’s below 40%, give it a half hour charge. If you don’t have an indicator light on the battery, plug it into the bike to check the voltage. Contrary to old beliefs, it’s not a good idea to completely discharge your lithium batteries on a regular basis. This has been proven by various research and you can read an excellent paper about it here. Instead, partial discharges with regular top-ups are recommended to extend the lifespan of lithium batteries. The occasional full discharge isn’t a big problem but doing so regularly will have a negative impact on the cells. 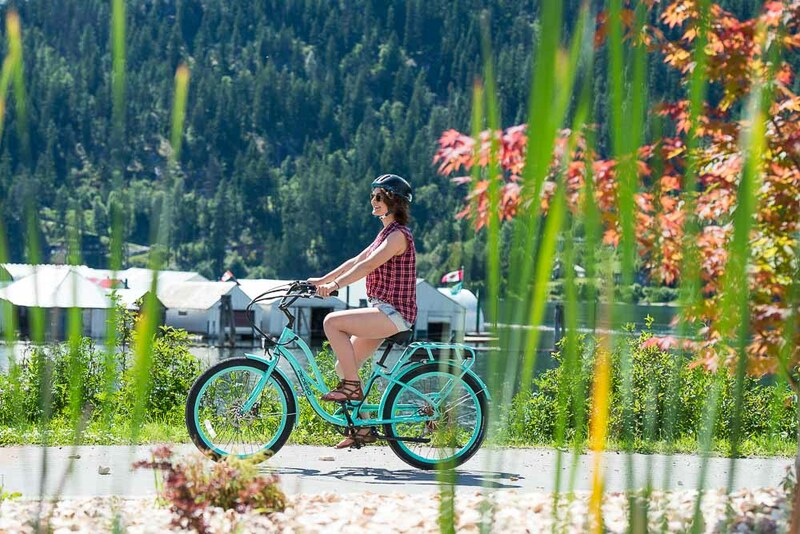 How do you get your Pedego electric bike ready for spring? Well, before you start riding it after a long break you should always bring it to authorized service place. 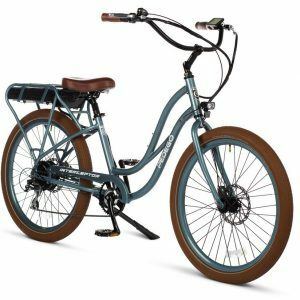 Your local Pedego dealer is ready at this time of year with an inventory of spare parts and maintenance checks to get you back onto the seat quicker. However, for those of you who are highly motivated to start pedalling from your door, we’ve compiled a checklist for bringing a bicycle out of winter hibernation. Check all fastenings for tightness including the axle nuts, fender stays, brake mounts, stem nuts and crank nuts. Tire pressure differs greatly by tire, bike and rider (the range we like to keep standard tires between is 40 to 60 psi). Examine your chain and ensure there’s no rust, not stiff links and it’s adequately lubricated. Check your stem’s tightness by putting your legs around the front wheel to hold it in place, facing backwards along the bike, and move the handlebars back and forth horizontally to see if the bar moves relative to the wheel. Ensure the seat post lever is tight. Push down firmly on the handlebars to make sure they do not move in the stem. Check spoke tension by tapping lightly with a screwdriver or similar metal rod to see if any ring with tone that’s significantly higher or lower than the rest. If so, take it to a dealer! Make sure your brake levers do no go in all the way to the handlebar when they’re applied. You’ve flown through this check list no problem? Great, then your Pedego is ready for a test ride. Take it on a short ride on a quiet road and listen for strange noises. A little noise is a big hint that something may need to be addressed and be a great way to find problems early (see Bike Speak 101). Know your bike! And if in any doubt… take it in. 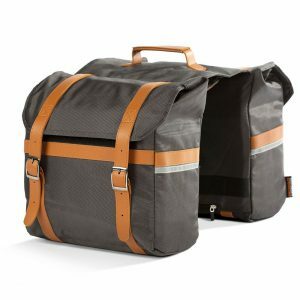 For those of you who are often caught out by the rapid change in season – you are not alone – and may not have winterized your beloved bicycles, it is not too late. Read our previous blog on Electric Bike Winter Storage and follow the steps in reverse: get it out of storage, charge the battery, give it a clean… and then take it in for some long overdue TLC.